Voting Open, Summit Around the Corner! 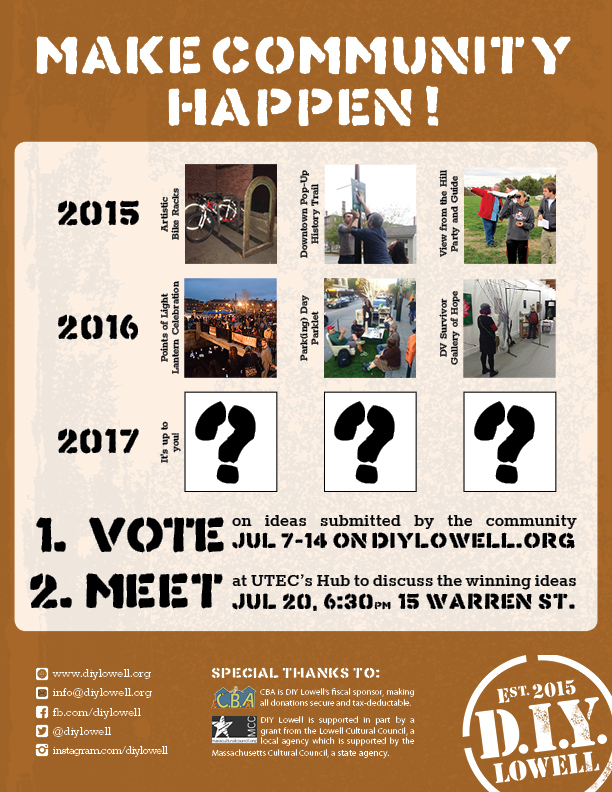 This is the moment you’ve been waiting for… it’s time to vote for the 2017 Community Ideas on diylowell.org! The winners will be discussed at our summit along with a wildcard, and be eligible for up to $1,000 in gap funding. Anyone who pledges to come to our July 20 summit or help out a winning project in any small way can vote! Want to discuss the ideas in person? 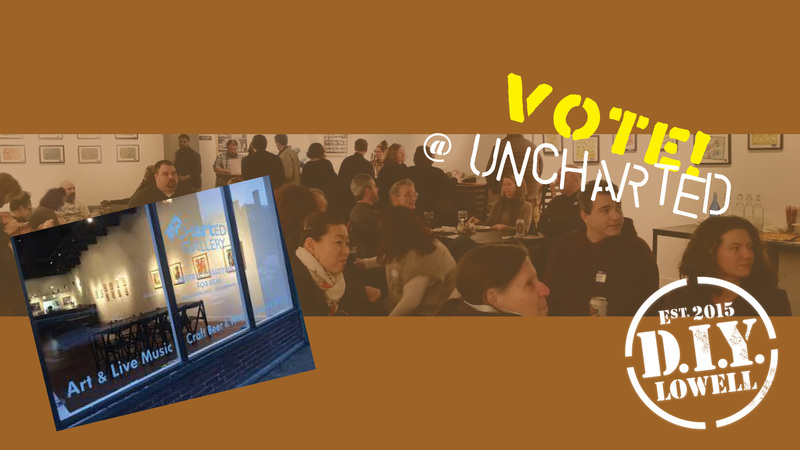 We’ve got a special first-time event, the Vote at UnchARTed! Next Wednesday, 7/12, anytime between 5 – 7 pm. This is the perfect event to have a couple drinks, talk about the ideas, and vote in person. A great event to come to if you’re new to DIY Lowell, so spread the word!